Ask fellow campers about "Lake Louise Trailer Campground - Electric Hookups (Parks Canada)" and nearby attractions. Camped in a 35" motorhome. We are self contained so cannot comment on restrooms/shower facilities. Stayed in site #102. 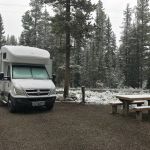 Pros - -	Spacious sites though you share a site with another RV -	Great location to explore Lake Louise and Yoho -	Quiet except for the nearby train a few times a day -	Level site Cons - -	Closest grocery store is in Banff so stock up We camped at Lake Louise Trailer Campground - Electric Hookups (Parks Canada) in a Motorhome. Check in was a bit of a wait, but quick once we reached the front of the line with our advance reservation in hand. Perhaps some of the people in line ahead of us were trying to get campsites despite the "full" signs; several of them turned and left. The staff were polite. The trains were not loud enough to disturb our sleep, but they do go through many times day and night. The double site was mostly level, plenty long enough, and wide enough for us and our neighbor to extend our slide outs. The park was clean, and centrally located for exploring Lake Louise, Yoho, and Icefields Parkway. We would be happy to camp here again. Make reservations early, the sites furthest from the train tracks go quickly. We camped at Lake Louise Trailer Campground - Electric Hookups (Parks Canada) in a Travel Trailer. Drive up Icefields Parkway and see Peyto Lake - stunning! We were looking for a CG with electric that would be convenient to exploring the northern section of Banff NP. We're self-contained and don't use the facilities except for an occasional shower. 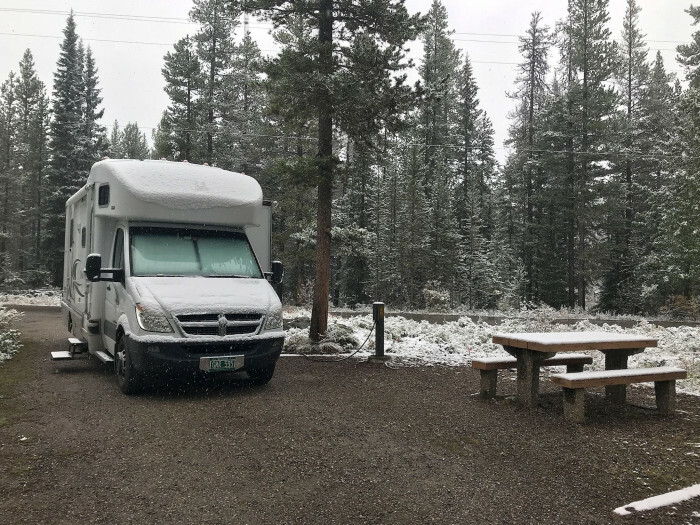 We stayed a week in mid-September in our 8 metre (25 foot) MH. (It snowed during our stay.) This CG is conveniently located as a base to explore the northern section of Banff NP and to access the Lake Louise area. It's no more convenient than other CGs in the area to visit Moraine Lake area, as the only access is via shuttle from an overflow parking area 5 km (3 mi) south of the CG on the TCH. Most of the sites in the CG are quite long and designed for 2 RVs side by side with electric post, table and (some sites) fire pits on either side. The long double wide sites are separated by trees and shrubs for some privacy. Two smaller rigs/class C's can stagger and maintain some privacy. Two larger rigs may have difficulty opening slides/awnings. The sites are electric only. There are a few single RV sites (not noted on the online reservation form). Most sites are gravel, may need a bit of leveling and are mostly shaded. There are washrooms with hot water throughout the CG. There's one shower room with 5 male and 5 female showers for the whole CG with lines in the morning and early evening. (We chose to shower at different times.) The showers were clean with ample hot water and water pressure. They could use a shelf or additional hooks. With only 1 hook, clothes and towels had to be hung over the door. There was good ATT and Verizon cell coverage while roaming on Rogers service. We arrived without reservations at a busy time and were able to get open sites by moving to a different site every day. This was not a problem for us. Of the 4 sites, 47 was our favorite. Note the Canadian Pacific Railway runs quite close to the park with trains day and night. We camped at Lake Louise Trailer Campground - Electric Hookups (Parks Canada) in a Motorhome. to Lake Louise or the overflow parking lot to get to Lake Moraine. The Icefields Parkway is just north of Lake Louise. The town of Banff with full services is an hour south. Hiking near Lake Louise is superb, yet you need to do some planning to get to certain trailheads. If you're looking to spend a lot of time in Banff (the town) - this is not the place for you. But if you're looking to be close to the most beautiful lakes in Banff NP (Lake Louise and Lake Moraine) and get a trip up to Jasper NP and the ice fields.....the location couldn't be better. Only negative is they only have 5 male showers and 5 female showers for the entire campground. Given there's no water hookups, this meant most people used the showers....and they were filthy. I was pretty disappointed in that.... Oh and the train. If you sleep with your windows open, you'd swear it was coming into your campsite. Didn't bother us much, but I could see where some people would hate it. They run all night long.... We camped at Lake Louise Trailer Campground - Electric Hookups (Parks Canada) in a Fifth Wheel. Rate was $28 USD for a four night stay. Site was pull-thru, 30 amp, electric only, with a level gravel pad. Site had a picnic table and fire pit. There was an extra charge to have a fire. We had Verizon cell service, but very weak Verizon data reception. The trees prevented DishTV satellite reception and we had no OTA reception. The trains run close to the campground and run day and night. We would stay here again. We camped at Lake Louise Trailer Campground - Electric Hookups (Parks Canada) in a Motorhome. The campground is near Lake Louise so you can get an early start on getting a parking space. The Lake Louise parking lot fills early. It is recommended that you arrive before 8:30 am. Very nice campground. We had an electric campsite with 30A. Level, long enough for both our Jeep and RV, with a table and fire pit. We had a single RV site but had to reserve it on the day the reservations opened. We used the showers for 3 nights and our own shower for 4 nights so we wouldn't have to move in the middle to dump. There is only one shower house for the entire campground and only 5 male and 5 female showers. Whoo-eee, not nearly enough! We found that the lines were shorter after 7 pm while before we had to wait. We would definitely stay here again. We camped at Lake Louise Trailer Campground - Electric Hookups (Parks Canada) in a Motorhome. We hiked the Lake Agnes trail and the Trail of the 6 Glaciers. Both were excellent and we'd hike them again. Get to Lake Louise early to get a reflection shot before they open the lake for canoes. We traveled the southern section of the Ice fields Parkway and saw Bow and Peyto Lake - both beautiful. Mistaya Cyn was closed for improvements unfortunately. It's an easy walk into the village from the campground. I live in Alberta and I have to say I was embarrassed at the state of front country camping in one of Canada's most popular national parks. The surrounding scenery is spectacular but there is no view at all from the campground. The site itself was ordinary, very long but barely wide enough, mostly level, partly treed. The showers were few and far away. The check in kiosk is a small hut where the staff hide behind a window - no gift shop or tourist info on site. When the power went out I could not find any way to contact anyone. The reservations system was shear torture to navigate. In general, the whole campground feels old and unloved, stereo-typically "government run". The site was supposed to have 30 amps but only 20 were available according to our meter. We experienced numerous complete power outages during our stay, presumably due to central breakers (not at our site) tripping. We camped at Lake Louise Trailer Campground - Electric Hookups (Parks Canada) in a Motorhome. Lake Louise and Moraine Lake are the most popular spots nearby, in fact, so popular that traffic is nightmarish in high season. Do not even dream of driving to these places in July unless you plan to be there at sunrise. Take the complimentary shuttle. Unfortunately the shuttle does not stop in the campground. The hiking is spectacular but be prepared for mountain weather, travel in groups of 4 and carry bear spray. If this advice is confusing to you, talk to a ranger before heading out. You are in such a majestic place here! A hop and a skip to Lake Louise and Lake Moraine-surrounded by stunning beauty and the Bow River runs right behind the campground! We camped at Lake Louise Trailer Campground - Electric Hookups (Parks Canada) in a Fifth Wheel. Get a site as close to the Bow River as possible, it will help with any train noise! Go Lake Moraine very early, or late, as they close down the parking lot when it is full! Campground is first come first serve until June 20th! We had an electricity-only campsite with 30-amp service. The sites are beautiful - only two RV's in each alcove and the surroundings are peaceful and quiet. With Banff as a backdrop, you really can't go wrong! 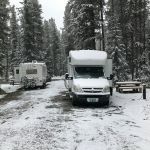 We camped at Lake Louise Trailer Campground - Electric Hookups (Parks Canada) in a Motorhome. Full hook-up section is still closed because of nighttime freezing temperatures. The only sites available are 30Amp electric only. Sites are paired, side to side, with the power stanchion in the middle, and barely room for slides. Gravel, not level, with room to park the tow vehicle either behind or in front of the RV. Each campground shares a restroom facility and a public phone. There is a dump station with potable water on the way in, or out. Each site does have its own picnic table. Park staff was friendly and helpful, plus apologetic. The interior roads are pretty rough. This is bear country and sows have cubs in tow. Put all the yummy smelling stuff away and lock it up. We would stay here again, later in the year. We camped at Lake Louise Trailer Campground - Electric Hookups (Parks Canada) in a Fifth Wheel. Must see Lake Louise (was partially ice covered when we were there), and the tram ride is awesome. The RV spaces are crammed in extremely tightly. There is a wide pull through with electricity on each side so two rigs park right next to each other with virtually zero space in between. Our space was extremely inclined. By bad luck the trailer next to us was an old piece of junk. Train tracks run very close by and we had several trains each day. I would not stay here again.Lake Louise was a huge disappointment to us. Even in late September it was extremely crowded - so much so that traffic officers were assigned at all major intersections all day long. Access to Lake Louise and Lake Moraine was cut off for much of the day due to the parking lots being full. We were so disgusted we stayed only one night. We camped at Lake Louise Trailer Campground - Electric Hookups (Parks Canada) in a Travel Trailer. Jasper was a 1,000 times better. Some people complain about the double sites. They do look quite close to your "buddy". We got lucky and had one of the few single sites (66). They are adjacent to the restrooms. Our only negative was the frequent trains which do run through the night. However our 3 year old grandson loved the trains. We camped at Lake Louise Trailer Campground - Electric Hookups (Parks Canada) in a Travel Trailer. Lake Louise and Moraine Lakes were very crowded. Parking filled up very early. We had our kayaks with us and skipped trying to launch on those and went to nearby Bow Lake and Emerald Lake instead. They were fantastic. Campground was nice with plenty of room in the site for the big rig. Sites have two sites side by side which shared one pad and faced opposite directions. There are patches of woods in between the next two sites. Excellent hiking trails out to the Bow River toward the south end of the campground. No wi-fi but we didn't expect it anyway. Since we didn't book in advance we were only able to stay 2 nights since they were basically full all summer. We would definitely stay here again when in the area. We camped at Lake Louise Trailer Campground - Electric Hookups (Parks Canada) in a Fifth Wheel. Fairmont Lake Louise, of course! Whitehorn Bistro at the top of the gondola. Play the yard chess game at the base of the gondola (free). The gift shops at the Lake Louise gondola base were MUCH cheaper than anywhere else in Banff or Lake Louise with the same merchandise costing approx 30% less across the board. Hiking trails along the Bow River were very nice but be cautious for bears. Nothing has changed with this campground since my review of last year. It is still the most poorly laid out campground that I have ever stayed at, and with sites measuring 13 feet wide, it has some of narrowest sites I have encountered. As we are self-contained, I do not us campground showers, so forgot to mention in last year's review that there is only one shower building to serve the 189 campsites - just another example of how this campground is not designed to meet the needs of campers. There are 5 washrooms with flush toilets and hot water sinks scattered throughout the campground, but no dishwashing sinks. Another reviewer stated that fires are not allowed in the trailer campground. This is inaccurate. This summer because of the severe wildfires, there has been a ban on campfires, but normally fires are permitted at sites that have a fire pit. 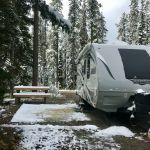 We camped at Lake Louise Trailer Campground - Electric Hookups (Parks Canada) in a Fifth Wheel. 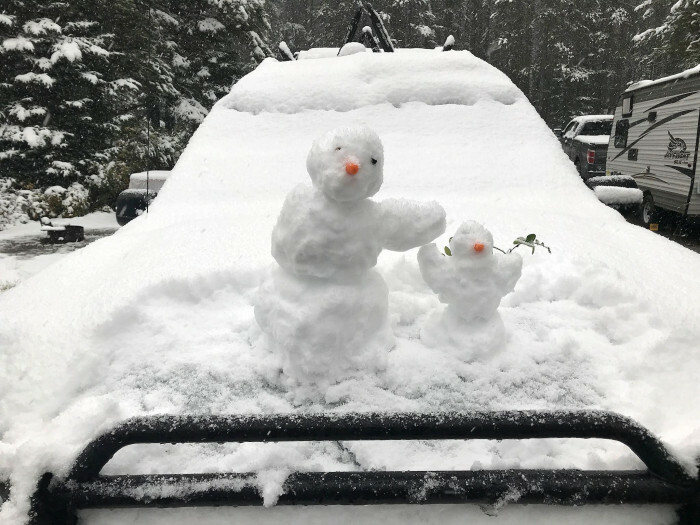 As this is prime bear country, keep your BBQ and any cooking related materials stored, including coolers, inside your RV, lest you return to your site and find them gone. Staff make frequent rounds both day and night and remove all food related items from sites if no occupants are present. Site was too small for our truck & fiver, but we had to pick a site when we reserved and how could we know? There were many sites much larger than ours. Park posted FULL everywhere but was not ever full in our 4 nights there. All sites are 2 rigs in opposite directions and power is on the opposite side of your rig. Why? 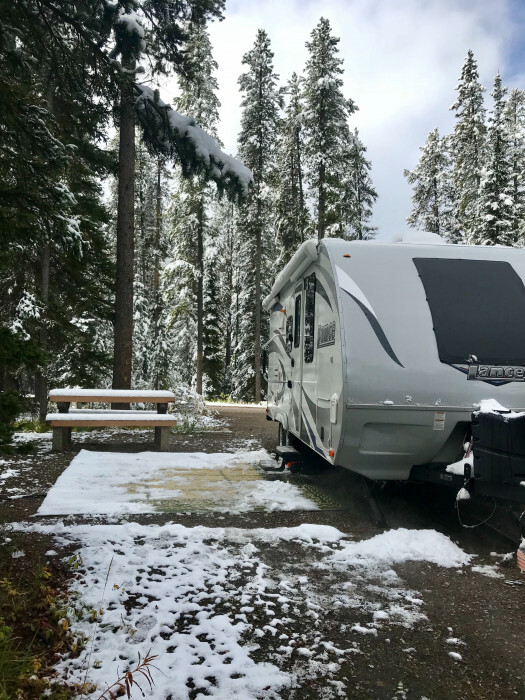 We camped at Lake Louise Trailer Campground - Electric Hookups (Parks Canada) in a Fifth Wheel. The hamlet of Lake Louise is a 15-minute walk from the CG. There are limited services. The NP visitor center is helpful and includes an interpretive center. There's a shuttle stop near the visitor center to get to Lake Louise or the overflow parking lot to get to Lake Moraine. The Icefields Parkway is just north of Lake Louise. The town of Banff with full services is an hour south. Hiking near Lake Louise is superb, yet you need to do some planning to get to certain trailheads. 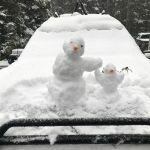 If you have pets with you, even though the parking at Lake Louise might say full, the attendants will try to get you in if you show them you have pets. This park was mobbed, so we had to leave at 7am to park at Lake Louise and find a spot good for our 25ft RV. Lake Louise has parking lots and the last one is for RV's and cars. Make sure you can get your RV out of the lot because some RV's were stuck.. We were there four hours and by nine every spot was filled and no more RV's were let in. This happened the day before, RV's were turned away all afternoon. We were turned away from another lake close by after we visited Lake Louise. Lake Louise is beautiful but there were clouds in the morning but by 9am the sun was out and they had cleared out. Lake Louise Gondola is a must do attraction. Turn-off to Moraine Lake closed most of the time due to limited parking, go in the early morning (before 8am) or late evening for best chances at access. Hike from Lake Louise to Moraine Lake is approximately 5hrs. Find the water fill up We had no fire ring. But some did. If you want a fire ring in your site ask for site that has one. Convenience store located in nearby Samson (strip) Mall in Lake Louise Village, where a bookstore, sporting goods store, ice cream/candy shop, and coffee shop are also found. Two gas stations are here as is a great visitor's center with limited diorama displays and small film theater. There are groceries etc available a few kilometers away in the town of Lake Louise. Dump stations with potable water are near entrance. Fill up before you head to your site. Parking at top tourists attractions is difficult and can be periodically closed due to overcrowding. Early morning or evening visits worked for us. If you are planning on cooking meals, bring all but the most basic necessities as the 'market' in Samson Mall is woefully inadequate. The closest grocery store is in Banff, 60 km away. Diesel is available at the Husky station and propane by the pound is available at the Petro Canada station. Fill up with both if you are heading to Jasper, as the only place along the way is Saskatchewan Crossing where diesel is 50% more expensive. Free WiFi is available at Tourist Information in Samson Mall. Drive you towed up the hill to the Lake Louise hotel and Lake. One of the top 10 most photographed places in the world,so we were told. Hotel is magnificent! If you are really in great hiking shape take the hike to the Saint Agnes tea house. Very steep. 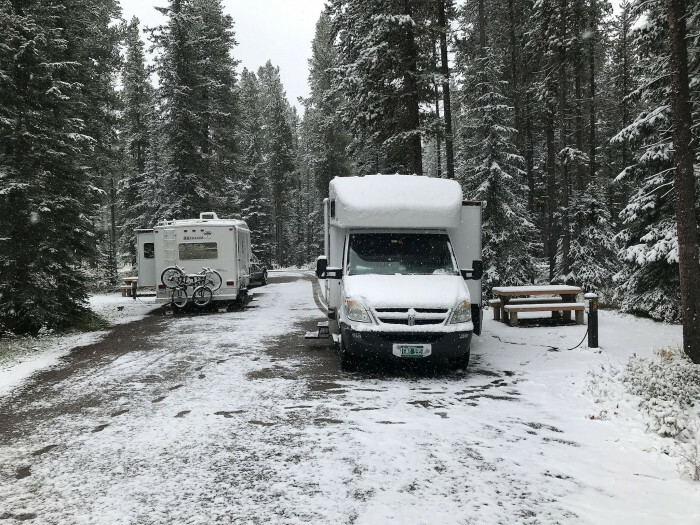 In high season it is not a bad idea to make a reservation since there are only 2 campgrounds around Lake Louise and it is a very popular place. Are you affiliated with Lake Louise Trailer Campground - Electric Hookups (Parks Canada) ?